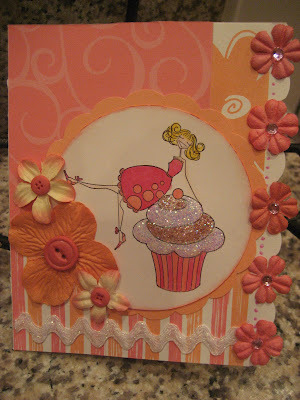 scrappinwithmel: My First Bella Card!!! Your first Bella card is wonderful! You did an amazing job. I love the colors, coloring and the icing! Be careful they are addictive! Bellas are awesome! 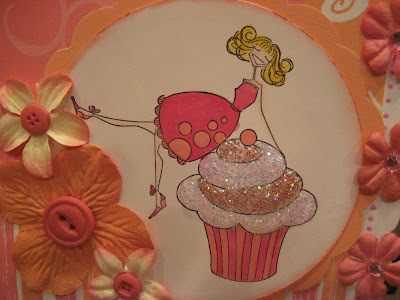 I love how you "iced" the cupcake! Very cute card! Mel this is gorgeous....and I just want to eat the cake...what a fab idea!! Thanks for leaving a comment on my blog. Someone visited!!! I am a downline from Carol Thompson here in the great Pacific Northwest. I wanted to keep your blog handy for great ideas, & you have them for sure!! !